The book deals first and principally with the history of the Upper Yellowstone from the days of Lewis and Clark to the present time. 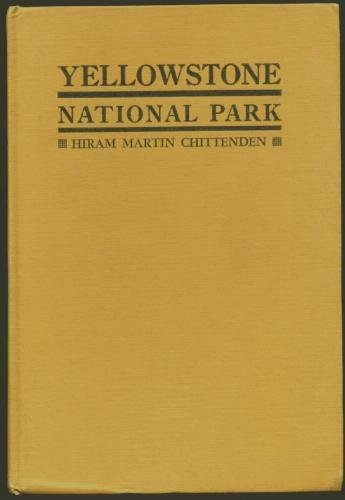 The descriptive portion of the work contains a succinct, though comprehensive, treatment of the various scientific and popular features of the Park. by William Beebe - Henry Holt & Co.
by A. J. Kenealy - The Outing Publishing Co. The book is written in a simple sailorly style for all lovers of the sea and boats. All the hints and directions given in these chapters may be followed with profit on the Pacific Coast as well as on Lake Michigan or on the Gulf of St. Lawrence. This Bulletin has been prepared in response to many requests from hunters, ranchers, telephone construction personnel, Boy Scouts and others who spend much time outdoors, for a concise and illustrated guide to the poisonous snakes of Texas. Devils Tower National Monument is in the Black Hills of northeastern Wyoming. The handbook gives a brief introduction to the park and its history and takes a close look at the area's natural history and, in particular, prairie dogs.